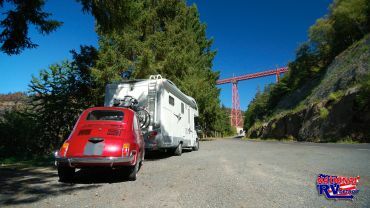 All you need to know about towing behind your motorhome RV! 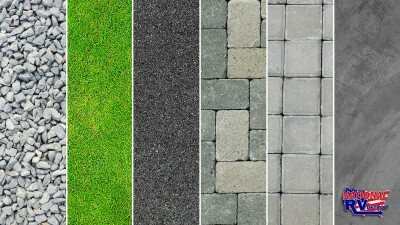 Making RV leveling easy with these simple steps! Top Adventurer Films To Watch While RVing for National RV Detroit blog. We list some less common but very enjoyable adventure movies to see with family. 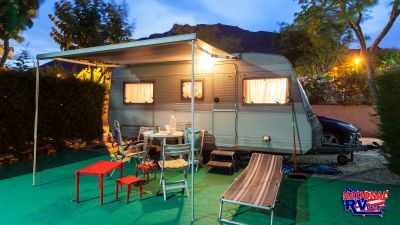 Crafting An Easy RV Awning Protector, National RV Detroit. Today we show you two very easy and cheap ways to protect the side awning on your RV from harm. Why spend money on craft materials when you have things laying around that you can turn into festive holiday decor? 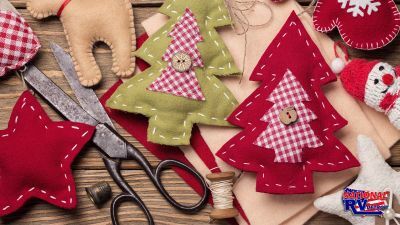 Make recycled holiday decor this year! 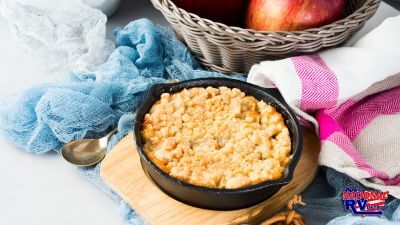 If you’re planning a fall camping trip, bring along some apples, a Dutch oven, and vanilla ice cream to create a delicious dessert everyone will melt over. 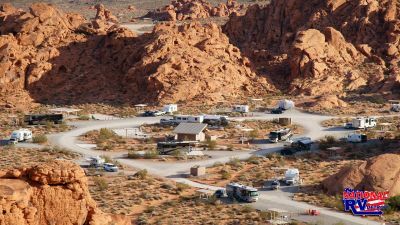 The Valley of Fire State Park in Nevada is the ultimate place to put your boondocking skills to the test. 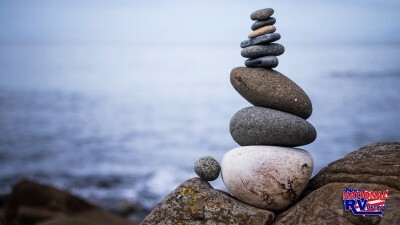 Check out these boondocking tips! 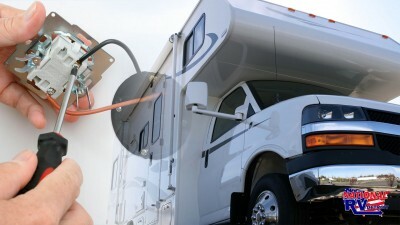 Does your RV need cooling down? Don't want to close the windows and turn on the A/C? 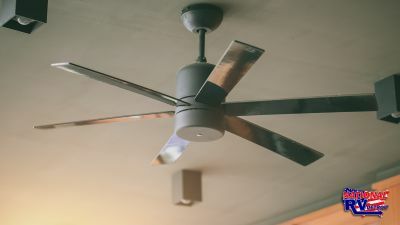 Install an RV ceiling fan instead with these handy tips! 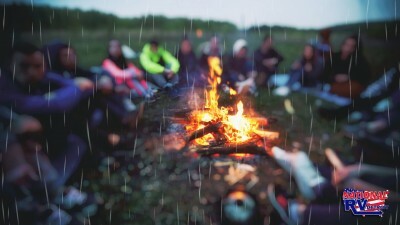 Anyone and their grandma can make a campfire in dry conditions, so use these handy directions for building a fire in rainy conditions to save the day! 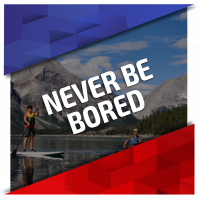 Taking the plunge this summer and going white water rafting? 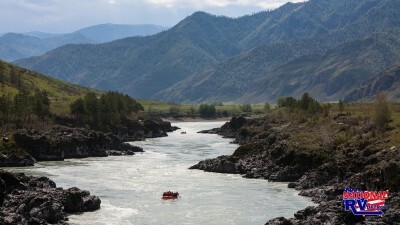 Take a look at these awesome rivers that we think offer some of the best rafting in the U.S. 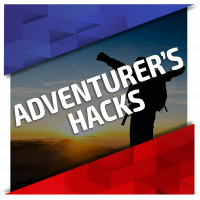 Packing camping food is easier than ever! 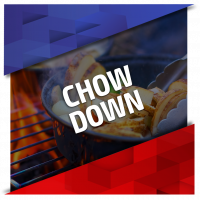 Click to find out how to plan like a pro for your week-long meal prep for an RVing trip and always be prepared! Is your child an outdoor lover? Does he spend every waking minute of the summer in the fresh air? 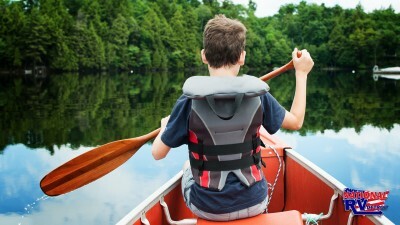 If so, check out these camps for outdoor-loving kids! Want Dust-Free Vents in Your Camper? Try This! Is dust in your camper making your seasonal allergies even worse? 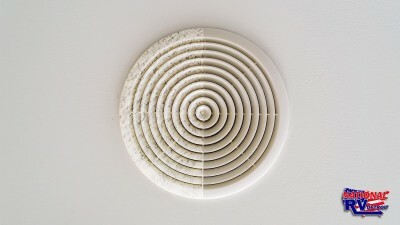 If you want dust-free vents in your camper, try this easy solution and breathe easy! RV maintenance is important, especially on RV stairs! 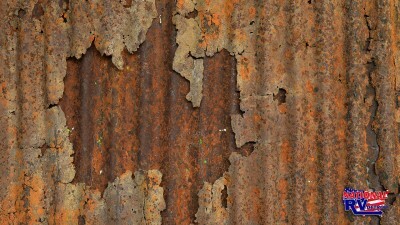 To avoid rusty, creaky stairs, use these tips for renewing your RV steps to make them as good as new! You can't beat the heat with a broken down A/C! 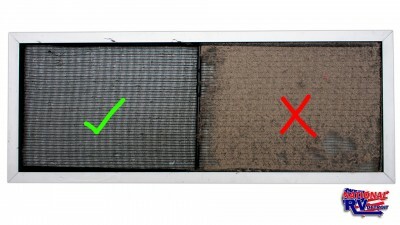 Follow these easy steps on how to maintain and clean your A/C unit and you won't break a sweat this season! 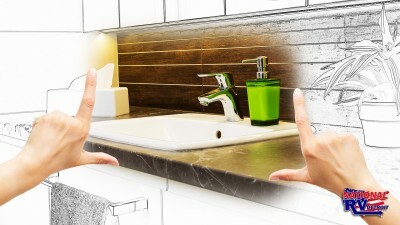 To get the most out of your small but completely functional RV wet bath, follow these tips for keeping it organized and clean! 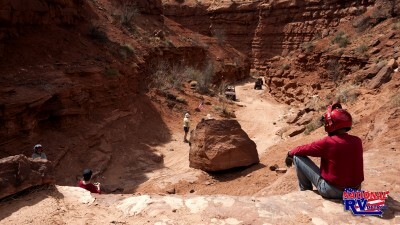 Utah is one of the best places in the U.S. for ORVs, with tons of excellent trails and plenty of places to camp. 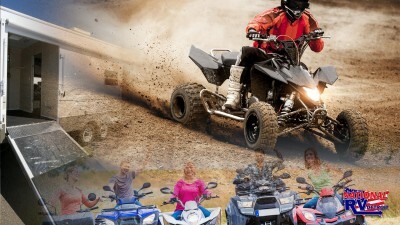 Experience the Wild West in a new way! 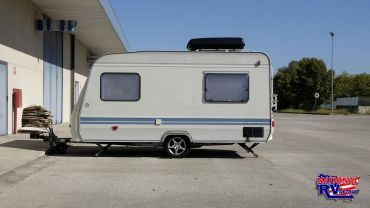 What voids RV warranties? What doesn't? 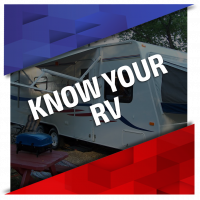 Before you DIY, read on to discover all the modifications you can make to your RV that will not void the warranty! 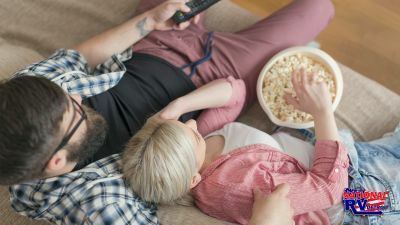 Aside from regular phone calls and emails, what are the best ways to stay in touch with friends & family from the road? 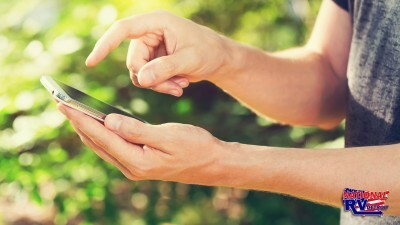 Check out these great apps! Have some fun in the sun! 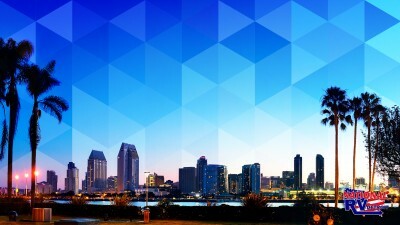 Pack up the RV and see San Diego at its finest! 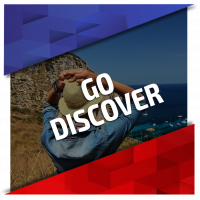 Explore this city's trails, caves, cafés , camping and more! The ultimate getaway! 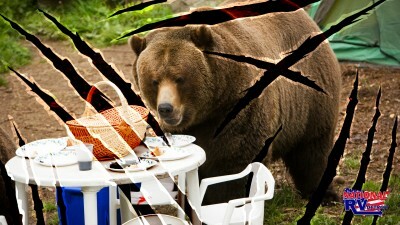 Depending on where you're camping, you may encounter a bear or two. Read these tips & tricks on bear safety to keep yourself safe in bear country.